Newly presented on 180gm heavyweight vinyl pressings, this is one of 4 iconic albums from the analogue era that Decca are proud to present back on vinyl. Presented with original artwork and pressed at optimal GmbH, each release has been carefully mastered from the original Decca analogue tapes at Abbey Road Studios. Every effort has been made to faithfully reproduce the original intentions of the musicians and recording engineers. This 1962 recording of Brahms' massive First Piano Concerto was an instant classic when originally released. 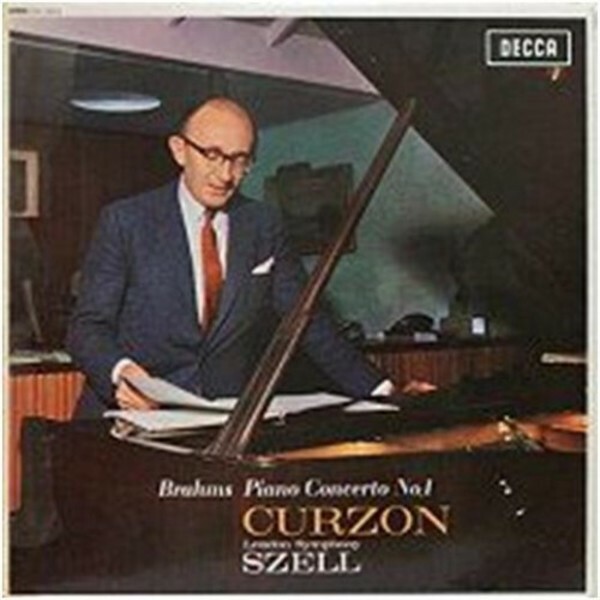 Pianist Clifford Curzon, conductor George Szell and the London Symphony Orchestra unite for a truly stunning performance. Clifford Curzon gets to the heart of the music, capturing the high drama of the symphonic opening movement, and his rapt concentration makes for a profound effect in the Adagio, famous for his controversially slow tempo. Conductor George Szell is his equal here, conducting with passion and intensity.